Disregarding people’s pressure and the United Nations Human Rights Committee, which requested the Brazilian State ensure Luiz Inácio Lula da Silva’s political rights, the Supreme Electoral Court (TSE) barred on Friday the former president from running in the country's upcoming elections. According to Brazil's top electoral court, Lula’s Workers’ Party has ten days – up to Sep. 11 – to register a new candidate to replace him. 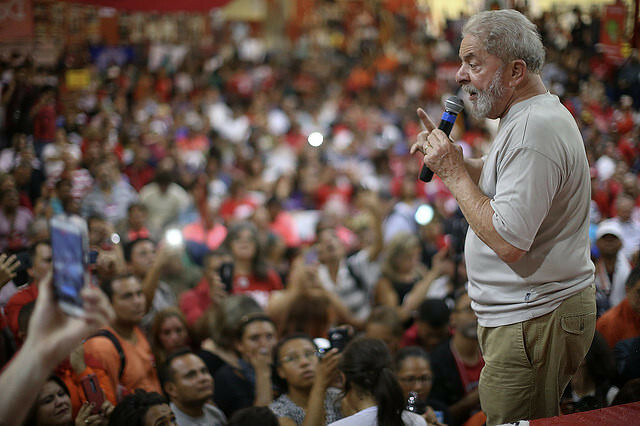 But his defense responded by filing appeals to keep Lula as the official candidate of the left-wing party. After visiting Lula at the Federal Police headquarters in Curitiba, where he has been held since Apr. 7, his running mate Fernando Haddad said Lula decided to file a petition to the UN so that the intergovernmental organization issues an opinion on the TSE ruling. “We discussed the possible legal steps with [ex-]president Lula and he decided to, first, file a petition to the UN so that it issues an opinion on Brazilian authorities’ ruling regarding the Committee’s request. Second, to file for preliminary injunctions with the STF [Supreme Court], both in terms of election and criminal law, so that he has the right to register his candidacy,” Haddad said. “We know the people are struggling in an unprecedented crisis. People’s lives are becoming increasingly hard, and ex-president Lula is the way out of this situation,” he said. Fernando Neisser, a member of Lula’s legal team, said on Sunday that the TSE ruling violates the country’s election law.